Patch O’Furr is founder and wrangler of writers behind Dogpatch Press, a project to explore furry fandom as its own subculture: what makes it unique and sets it apart, who’s in it and why, and relationship with larger culture. 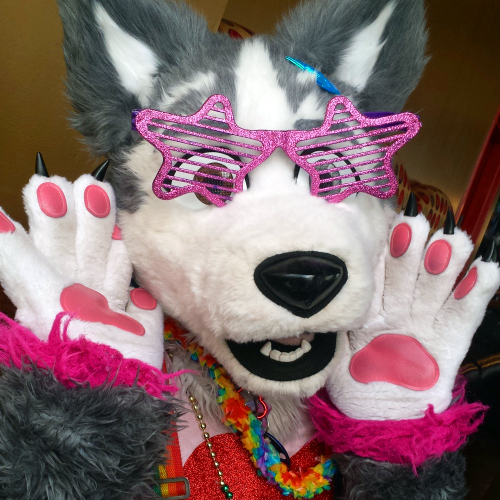 The blog is the most active source for Furry news, investigation, interviews, and reviews. It draws tens of thousands of views per month, with stories every weekday. It’s meant to bring bold claims, jaunty opinions, love, curiosity, and familiarity with kindred spirits across other subcultures, to expand the limits of fandom. Patch fursuits as a Husky, giving unconditional linty hugs for everyone. In costume, he’s been an invited guest speaker for comedy shows, and dancer in music videos and on stage in front of 1,000. He supports creators, dreamers, happy weirdos, and everything fabulous and furry. He calls fursuiting “the theatrical soul of furriness” and its most original and playful activity. Most of all, Street Fursuiting is where the magic is.